Bewildered and disorientated, we stood on the sidelines studying our map of the market intently. A mere metre in front of us, a mixture of motorbikes, vans and strange little stand up driven machines weaved and swerved around the two of us. 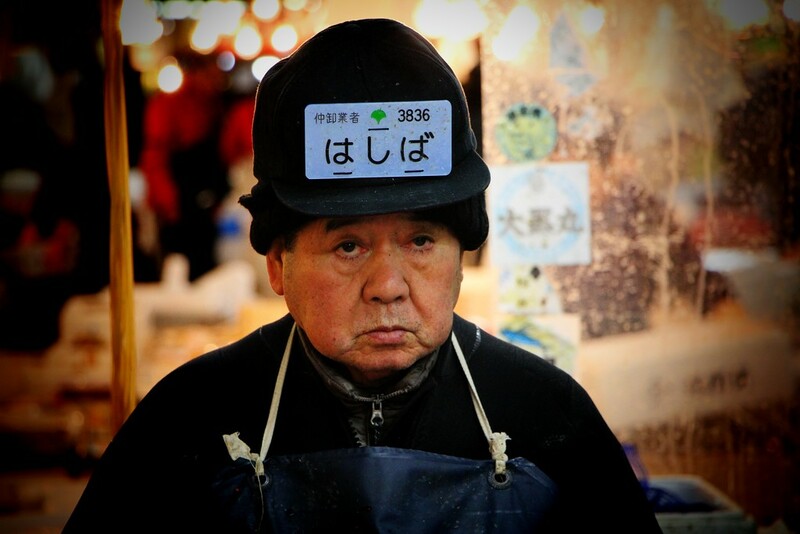 We were slap bang in the middle of a busy fish market, wondering why we’d ever been allowed in in the first place. 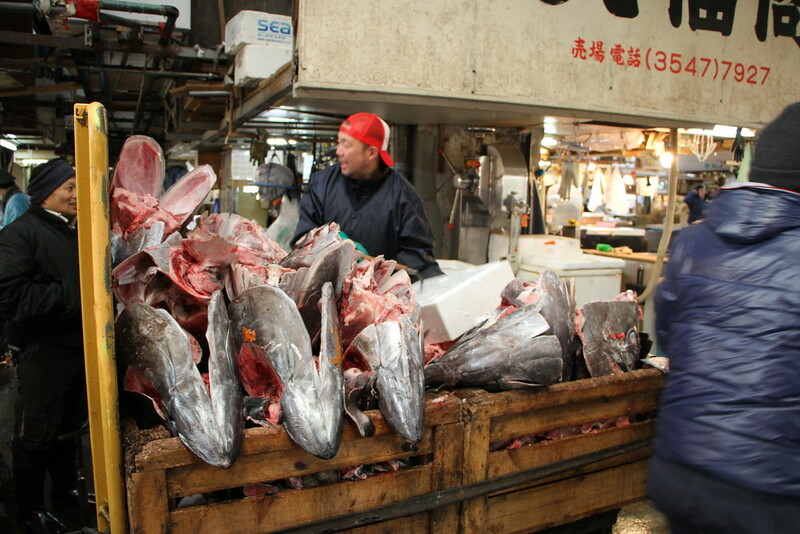 We’d arrived at the entrance to Tsukiji fish market in Tokyo, ready to see one of the world’s largest fish markets in action. 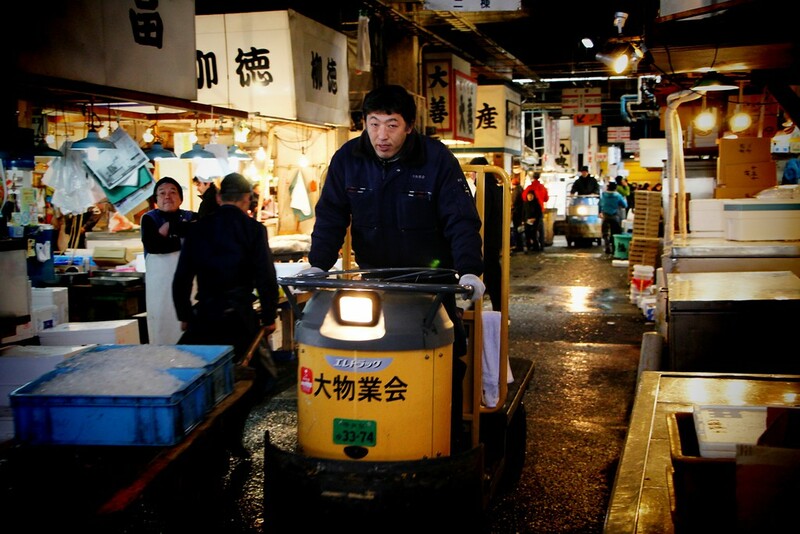 Over 2,000 tonnes a day pass through the market, as restaurants and merchants battle to satisfy the Japanese thirst for sushi and sashimi. We knew it was a working market, but we had no idea just how seemingly inappropriate it was to have tourists visit. We were shocked at being allowed to simply wander around, although all the guidance was pretty clear, be aware of yourself and don’t get in the way. Easier said than done when the walkways are only one person wide, and various huge carcasses are carried through the narrow polystyrene alleyways. We gingerly dodged the various vans and lorries ferrying the days catch back and forth to enter the wholesale market where the main action happens. Instantly we were disorientated by the spectacle. A fishy polystyrene maze stretched out in every direction, each full of things we had never seen before. Some routes were brightly lit, others less so and some seemed impassable as eager merchants completed deals with various buyers. We made our way further in. Huge carcasses from various unfortunate sea life littered the walkways, one man using a huge hook with great skill to slop huge fish heads into his van, destination unknown. Tentatively, we picked a narrow walkway and proceeded with caution. 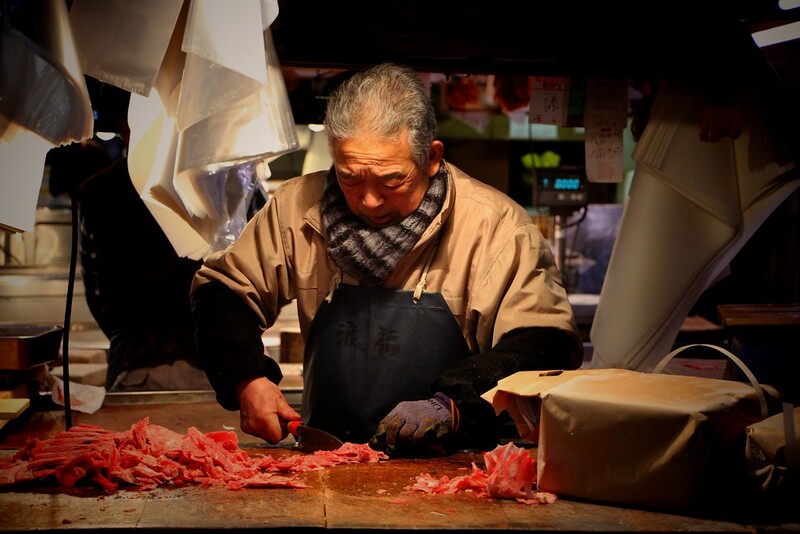 It was a mesmerising experience, everywhere we looked there was something interesting to observe; the old man filleting a huge tuna with tender care, a man using an electric saw to cut up a huge frozen tuna, another trying to persuade us to buy an octopus arm. I think it was anyway, it’s hard to tell when it’s been detached from its owner. 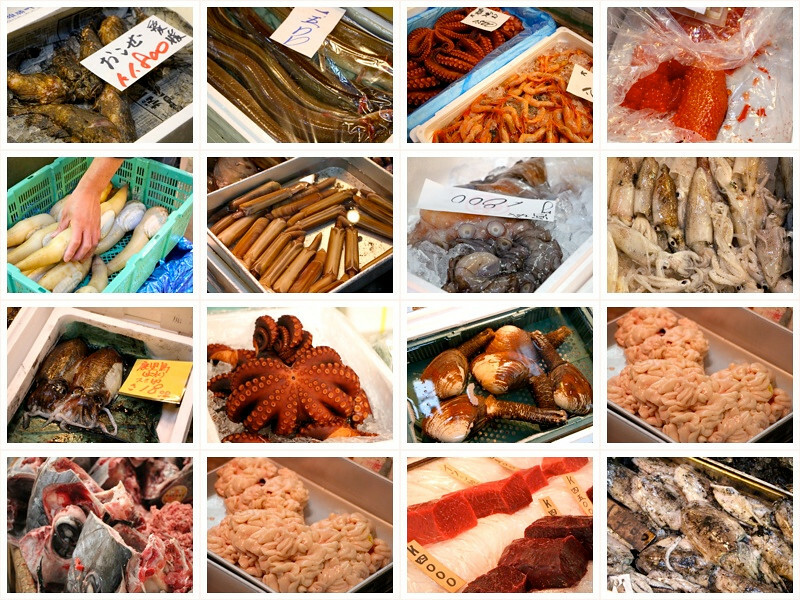 It was amazing to see the food we had been enjoying so much in Japan on an industrial scale. 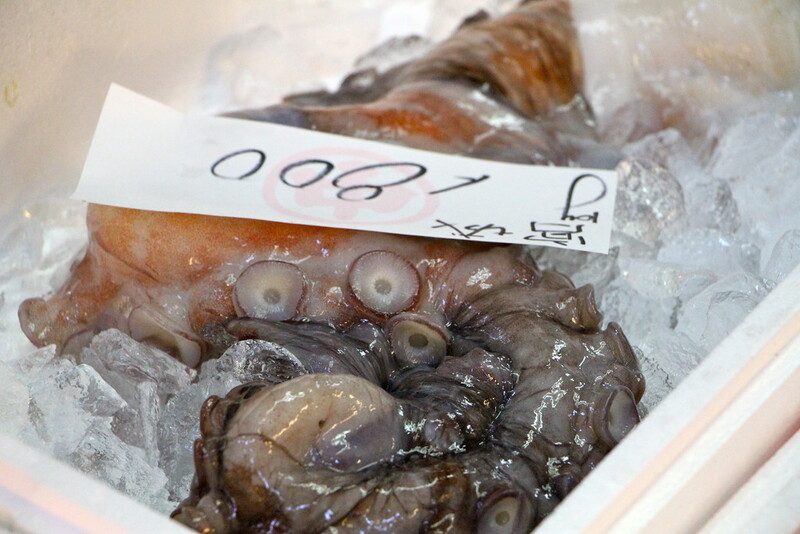 The market is incredible, with some of the strangest things we’ve ever seen all sat in ice waiting for the buyers to take them to their final homes. 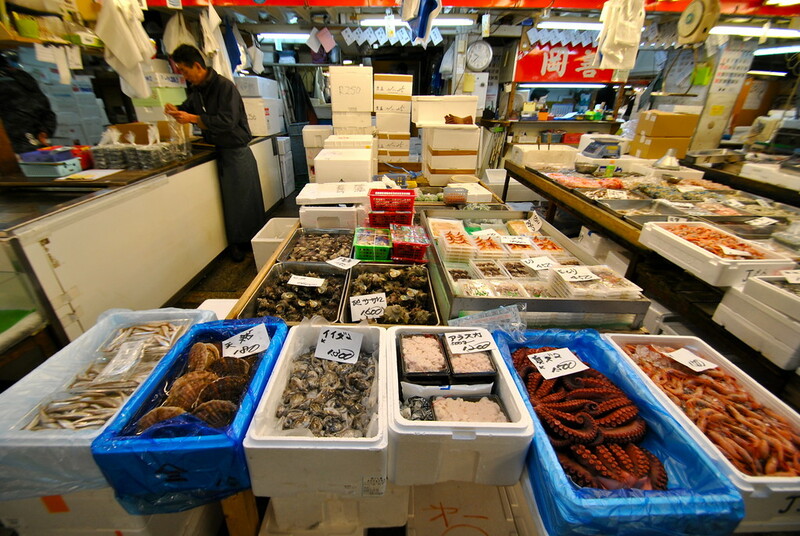 Eels, huge starfish like things and various crustaceans littered the alleyways. And then the various characters that made up this place, from Mr fish hook head who took great delight in collecting all the unwanted bits and pieces, to the drivers of the quirky one man cylinder trucks, to the ladies in the tiny offices who dealt with the money. 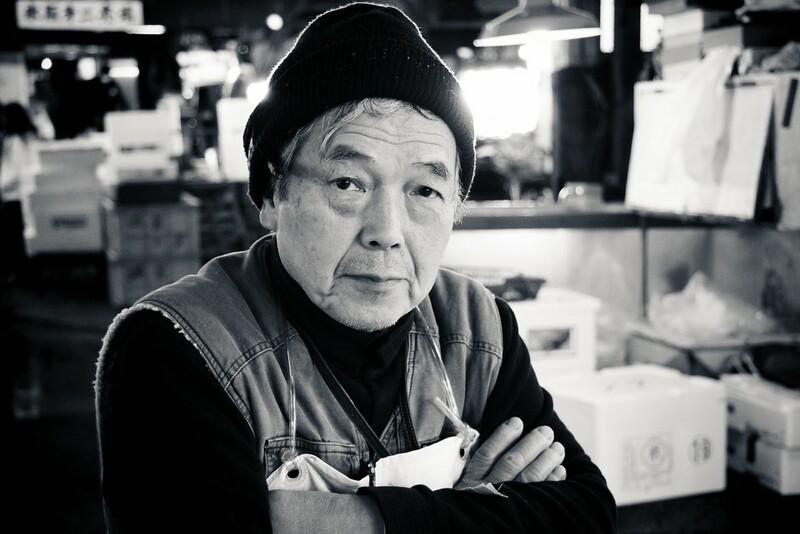 Each had their own job in a unique ecosystem, and despite the chaotic nature of the market, it all worked with fantastic Japanese precision and efficiency. We spent two hours in those cramped alleyways, and tired of asking each other “any idea what that is?” as another polystyrene box presented itself with an unknown being. 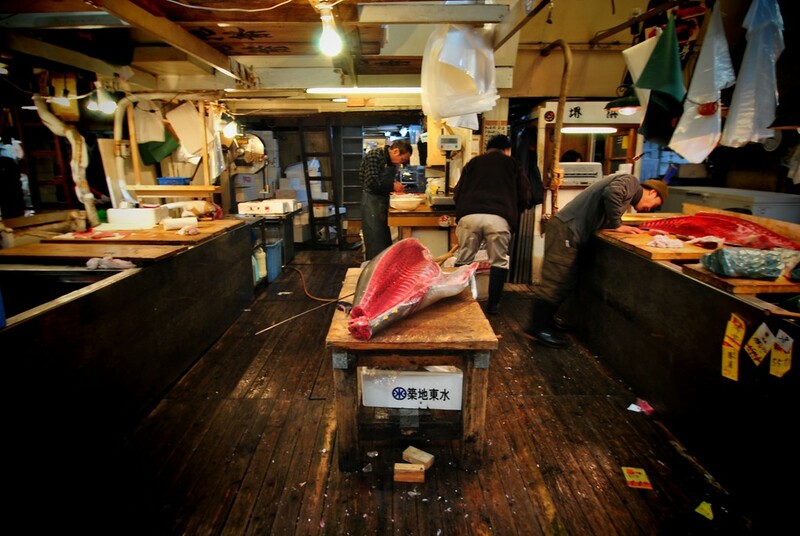 The Tsukiji fish market was an incredible experience, one we would happily see again given the chance. We dodged the final challenge of vans and lorries scurrying to various restaurants and made our way back into Tokyo in search of some breakfast sushi. Thanks Lindsay, go get some sushi!!! Miss you guys too, not the same without you guys making an appearance!